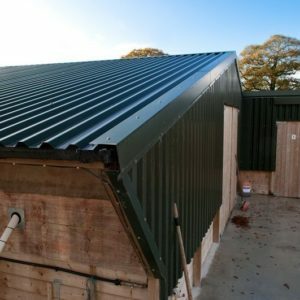 Box profile polyester-coated steel sheets provide a cost-effective roofing option for a wide variety of buildings including stables, workshops, garages and larger sheds. Our standard box profile colour is Juniper Green but other colours* are available to order. Our standard profile is 1000/32 and our normal stock lengths range from 2.44m (8′ foot) up to 4.88 metres (16 foot) long with a full 1.0 metre cover in width. Other lengths can be produced to order – the sheet length made to your exact requirement up to 9.0 metres in length, although these longer sheets do become difficult to handle! 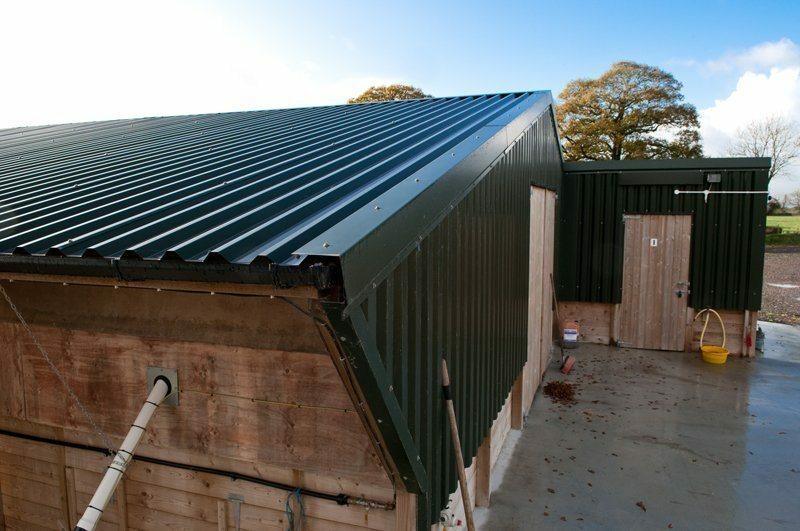 ‘Flashings’ is the term normally applied to pre-formed galvanised metal profiles that are used to protect roof tops and edges, plus walls. Our stock flashings are barge boards and ridges, more accurately ridge cappings. Other flashings including eaves and abutment flashings, door flashings and drip cills and can be folded to exact specifications on the receipt of detailed drawings and measurements of the required profile. 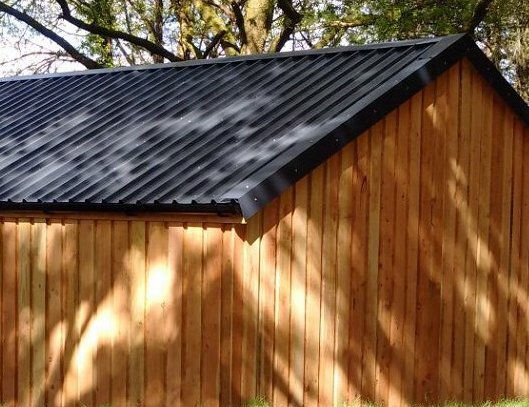 Our barge board flashings can be used on the gable ends of an apex roof, to flash around a single sloping pitched roof and on the corners of buildings. 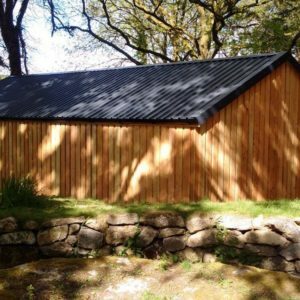 They provide closure between sheets and walls, protection against high winds and ensures a professional neat finish to any building. 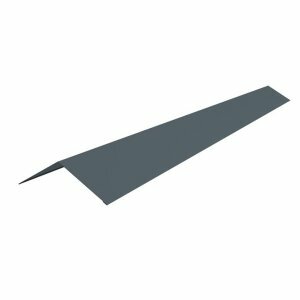 Flashings are normally manufactured at 0.7mm for galvanised steel and to maintain a flat appearance a welt is added along the long edges to help strengthen the flashing material. 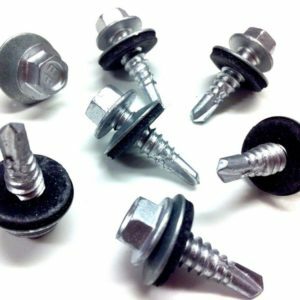 Both standard flashings ‘open’ and can be lapped, typically including stitching fasteners at a maximum spacing of 100mm, and a sealant on the weatherside of the fasteners.